If your parents are footing the bill for your wedding – or at least a good portion of it, they have every right to have a say in your guest list! 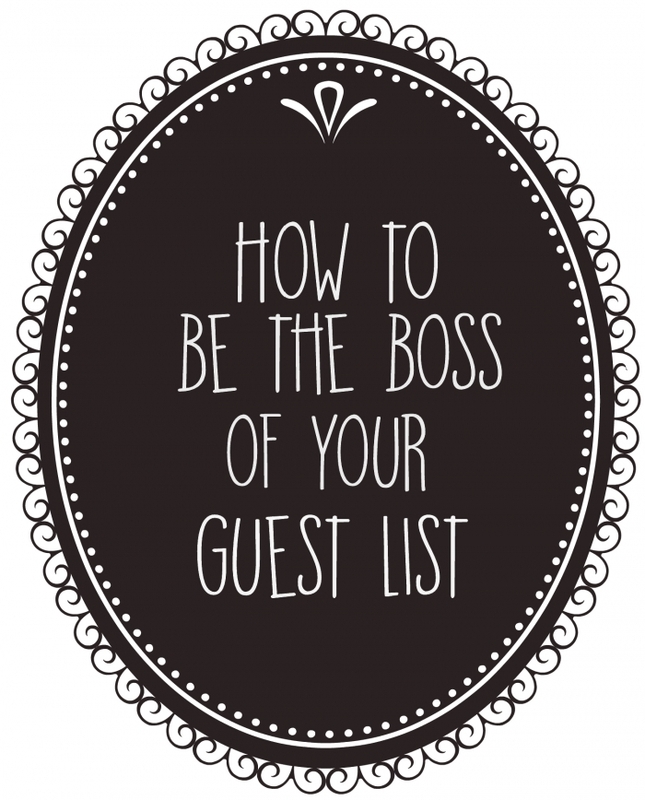 It you want ultimate control over the guest list, pay for the wedding yourselves! Maybe one set of parents has ideas of what they want and the other side doesn’t, or both parents are contributing to the wedding costs. Depending on the situation make sure you are clear with everyone about the wedding specifics—this includes numbers. It could be that they want to invite a lot of people because they think you want them to. Or they didn’t realize how much each person would cost to invite. Guest list tensions should not ruin relationships. These talks are difficult to have, but talking about it with them is better than ranting to your partner about how angry you are. Sit everyone down to talk about things instead of a “tell your Mother she can’t control our guest list!” type of conversation. Don’t invite 50 of your closest friends to the wedding and then tell your parents they can’t invite anyone. Let them have a few people at the wedding they can talk to and share the memories with. Give them a specific number of people in mind or suggest a few family friends you know well. Take the focus off of the guest list and have your parents help in other ways. For example, ask them to plan the rehearsal dinner or assign another wedding related task. Ask your mom to help plan a pre-wedding shower, Stag and Doe or party where she can invite all of the people she wants (just make sure they know if they are invited to the wedding or not!). Your parents love you. Maybe they want to invite everyone they know to your wedding because they want everyone to see how amazing you are! As much as you might think they are controlling the wedding, they also want you to be happy. Your parents are from a generation that had a different idea about weddings. Try compromising with their ideas. The key is to tell them how you feel and respect their wishes, while sticking to your own vision of an intimate wedding.